This Thanksgiving, Live From Lincoln Center presents the internationally acclaimed pianist Lang Lang and his love letter to New York, the city he considers his adoptive home, set to the music that helped make this city so famous. This special multi-genre event pairs one of the world's greatest virtuosos with a star-studded list of guest artists, embracing a wide range of musical styles and voices capturing New York's magic. "Lang Lang's New York Rhapsody" will air as part of the PBS Arts Fall Festival on PBS affiliates nationwide on Friday, November 25, at 9:00 pm (check local listings). 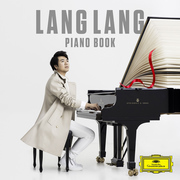 "Lang Lang's New York Rhapsody" brings together a host of celebrated artists paying tribute to New York, including Rufus Wainwright, Regina Spektor, Suzanne Vega, Jerry Douglas, Andra Day, Lindsey Stirling, and Sean Jones, as well as a 30-piece orchestra with musical direction by Jason Michael Webb. Together, these artists perform works from Leonard Bernstein, Aaron Copland, and Danny Elfman to Lou Reed, Alicia Keys, and Don Henley, including a rare performance of the original 1924 jazz band arrangement of George Gershwin's Rhapsody in Blue. It was taped in front of a live audience in May 2016. 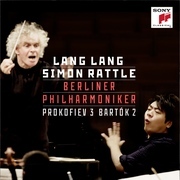 This Lincoln Center event is produced by Live From Lincoln Center, in partnership with Sony Classical and CAMI Music. 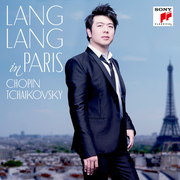 Lang Lang's record label, Sony Classical, released a studio album of "New York Rhapsody" in September. Concert and television production are produced and directed by Emmy Award-winner Andrew C. Wilk, executive producer of Live From Lincoln Center.